Pain illnesses are very common in Hong Kong, and there are various kinds of pain. The most prevalent and serious kinds include headache, joint pain, and back pain. Talking about elderly, stomachache, angina (chest pain), and gout are the most common pain illnesses for them. Pain can be classified into acute and chronic cases. Acute pain is mainly caused by injuries or diseases and it can usually be resolved after treatment. Whereas for chronic cases, they would generally last for 3 to 6 months and may be even longer. Their causes are likely related to the patient’s physical and mental conditions, and his or her social circumstance. Chronic pain can exert wide effect on individuals. In general, it would influence patients’ daily life and work. It is because their emotion and sleeping quality will be greatly affected by the pain. Thus, their life quality will be decreased. Besides, their self-confidence would be influenced by the pain, and they may suffer from anxiety or depression if the situation is serious. Some elderly people may think that they can withstand the pain and do not need to deal with it. However, forcing oneself to withstand the pain would only limit his or her movement, and can even lead to complication. In fact, if acute pain is treated immediately, it can prevent the acute pain from turning into a chronic one. Three steps are involved to deal with the chronic pain. First of all, the patients need to acknowledge the presence of pain and plan to treat it. Then, they should let the medical personnel to evaluate their painfulness, including the patients’ movement abilities, and how the pain affects their work, emotion and social interaction. Lastly, we should help the patients to find out their life goals, such that they can regain motivation for their own life and work. 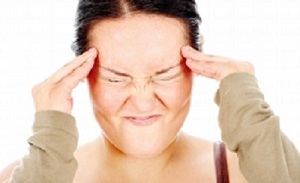 Headache is a kind of symptom, rather than a disease. Its emergence may be related to depression. On the other hand, elderly people may have headache because they have to take various kinds of medicines routinely. Moreover, their metabolic rate of is much lower than that of adults. Therefore, they must pay special attention when they choose the painkiller and they should start from the lower dosage. If the elderly has chronic headache (i.e. headache continues for more than three months and it lasts for over 15 days per month), then he or she must consult doctors as soon as possible. Besides that, when the elderly has headache and encounters the following situation simultaneously, then he or she must go to see doctors immediately: having head injury recently, vomiting, fever, blurred vision, unconsciousness, and high blood pressure. The emergence of stomachache is mostly due to peptic ulcer disease or acid reflux. Peptic ulcer disease means a break in the stomach and the first part of the intestines. Its causes include, smoking, alcoholism, eating food that would stimulate the stomach, excessive secretion of gastric acid, Helicobacter pylori infection, side-effects of drugs (like aspirin or non-steroid anti-inflammatory painkillers). The doctors would use endoscopy or barium meal to evaluate the patients’ situation. The treatment of stomachache depends on the seriousness of stomachache. The treatment can range from taking anti-gastric acid drugs to having surgery. Acid reflux signifies a situation in which the muscles connecting esophagus and stomach become flabby. As such, the gastric acid would easily pour in the esophagus. The patients would feel that their chest seems to be burning, because acid reflux can lead to esophageal ulcer. Especially during midnight or when the patients are lying down, they would have indigestion and feel their chest burning more easily. On the other hand, the enamel and dentin of the teeth would be harmed by the gastric acid perennially. As a result, the patients would have the symptoms of sensitive teeth. Besides, pits would appear on the surface of the teeth due to erosion and the teeth will become weak and easy to crack. One treatment method is to use the drug, proton-pump inhibitors (PPIs), to reduce gastric acid production. The patients have to take this medication continuously until the symptoms of stomachache diminish. reduce the amount of salty food, such as sausages, salted duck egg, pickles etc. When one becomes older, the fat would accumulate inside the blood vessels increasingly. In effect, the arteries would lose elasticity and become thickened and hardened. Meanwhile, the lumen of the arteries will become narrower, and will affect the normal blood supply for our body parts. If the lumen of coronary artery becomes narrower, then different body parts cannot receive sufficient blood, oxygen and nutrients. In that case, the symptoms of angina emerge if one carries out manual labor. For patients who have angina, they would feel pressure in their chest. This is usually accompanied by depression, hindered breathing and shortness of breath. In case the angina is serious, the pain can extend to neck, shoulders, and arms. 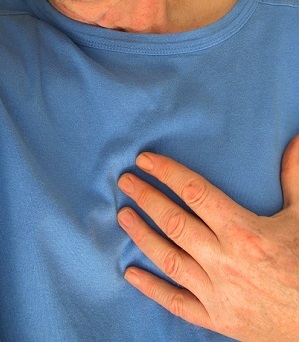 Angina would usually last for a few minutes and it would die down after taking rest. When one falls into the following categories, then he or she is prone to having angina: high-blood pressure, diabetes, high cholesterol level, smoking, obesity, lack of exercises, nervousness, high pressure, and heredity. Union Gastrointestinal Disease Centre "Common gastrointestinal diseases"